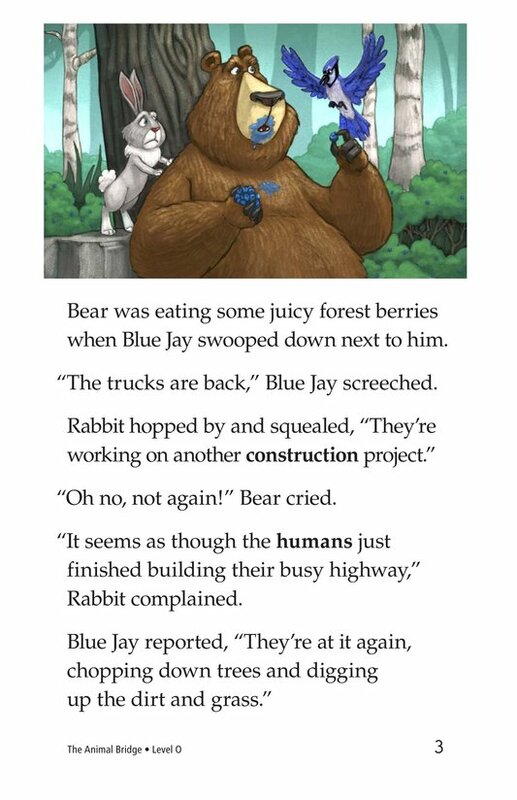 When the humans return to the forest with their trucks and plans for new construction, the local animals are distressed. 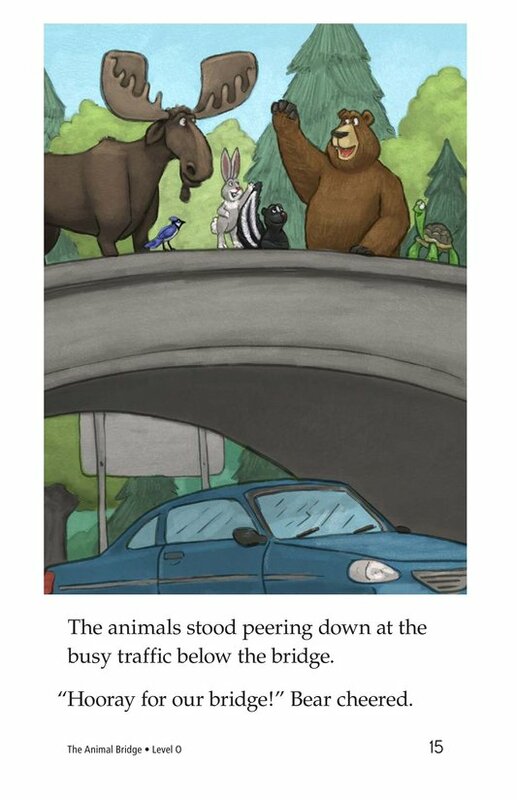 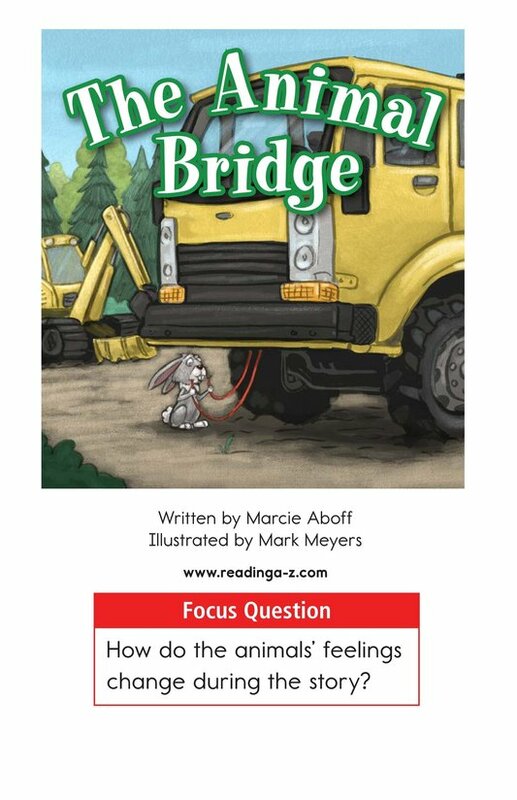 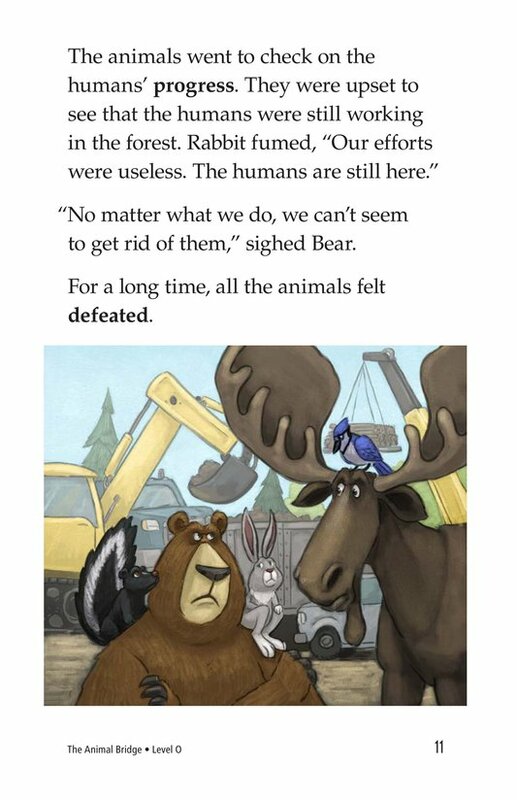 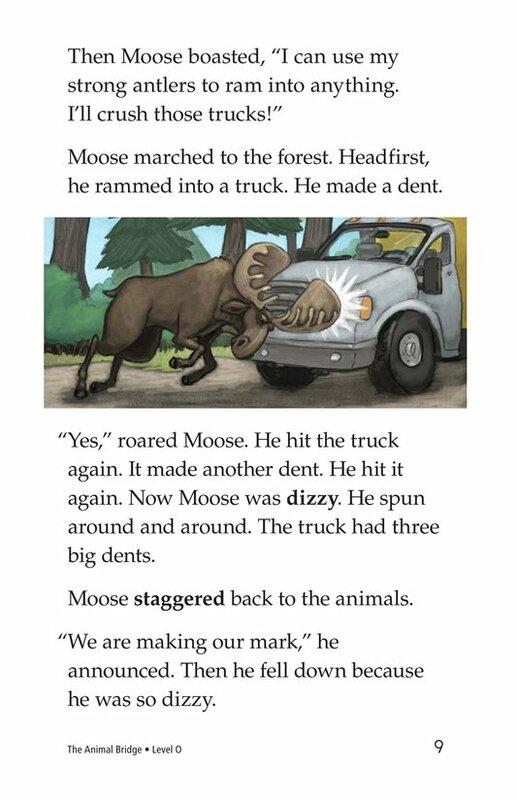 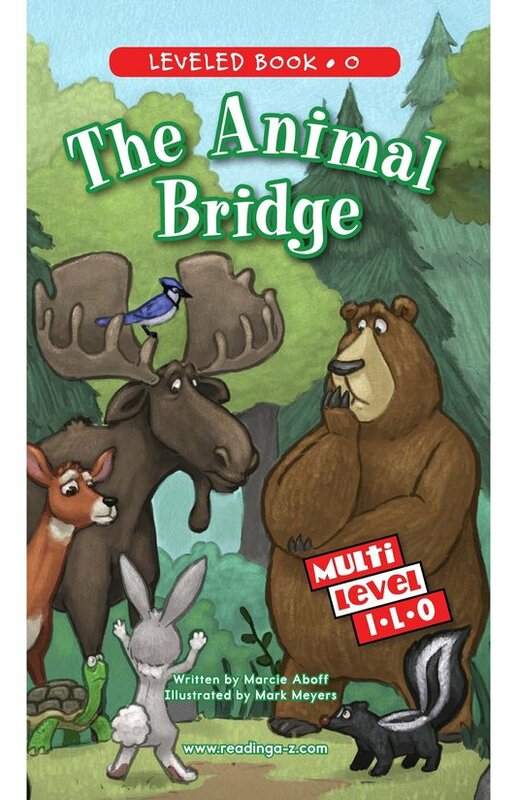 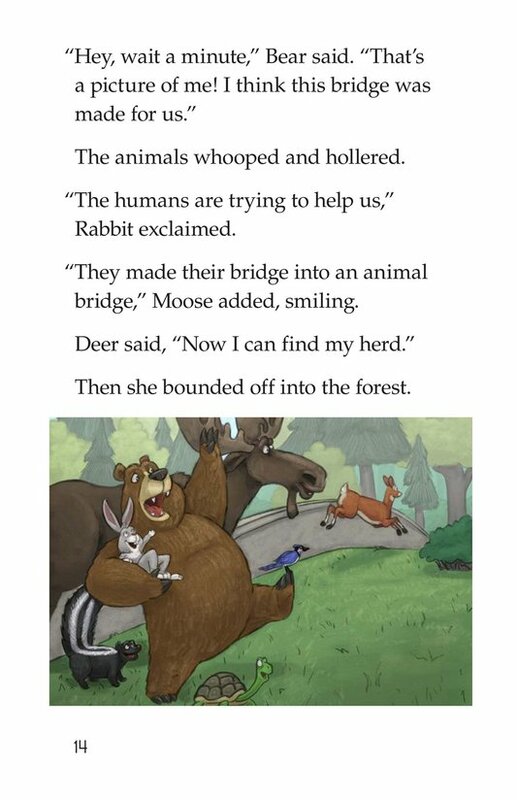 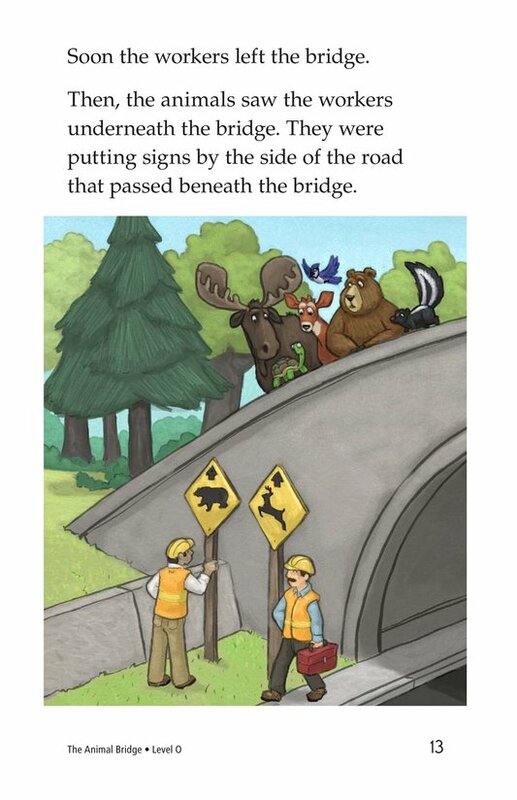 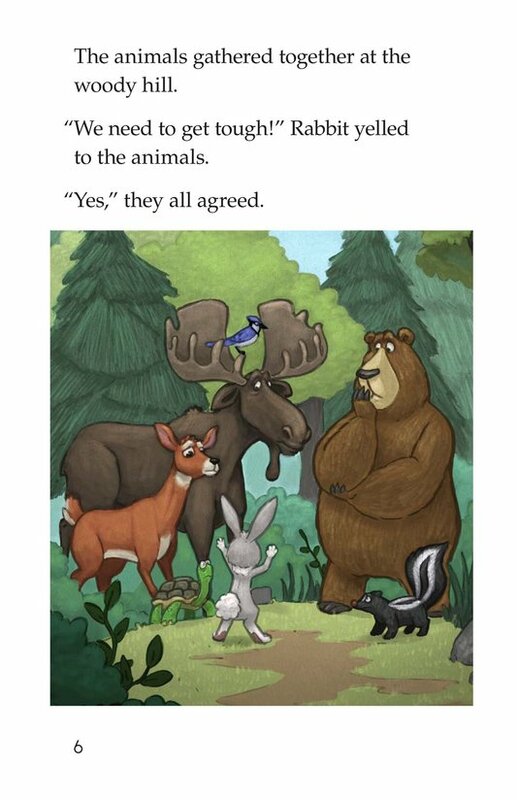 The Animal Bridge is an amusing story about a group of animals who create several humorous, but ultimately ineffective, plans to stop the humans in their tracks. 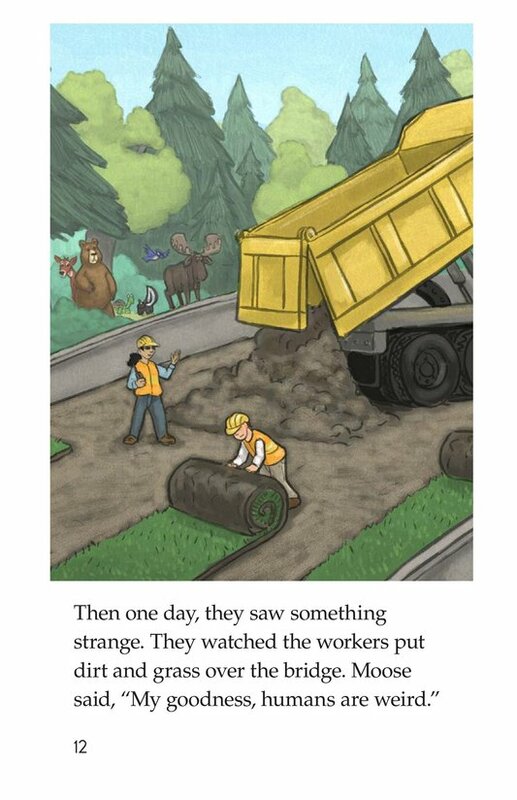 In the end, however, the animals are pleasantly surprised to see what the humans have built. 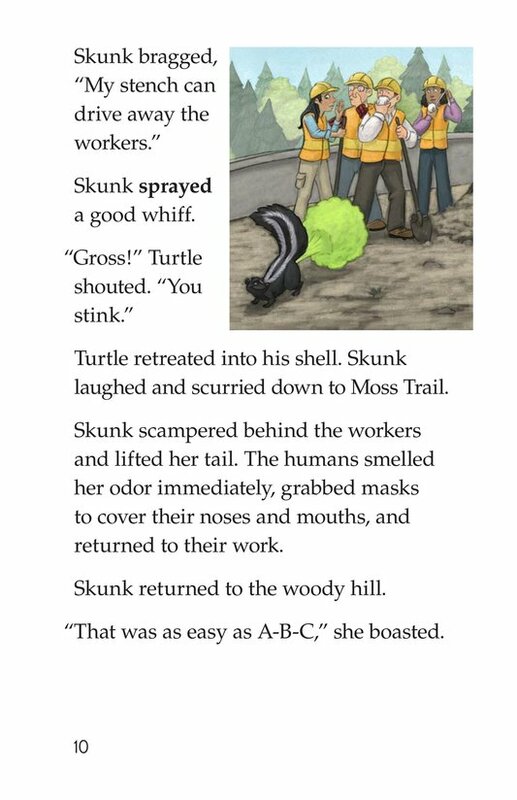 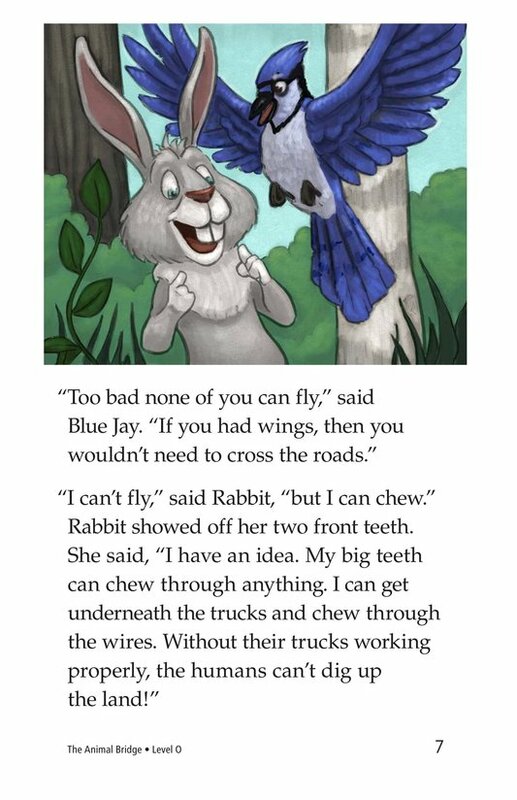 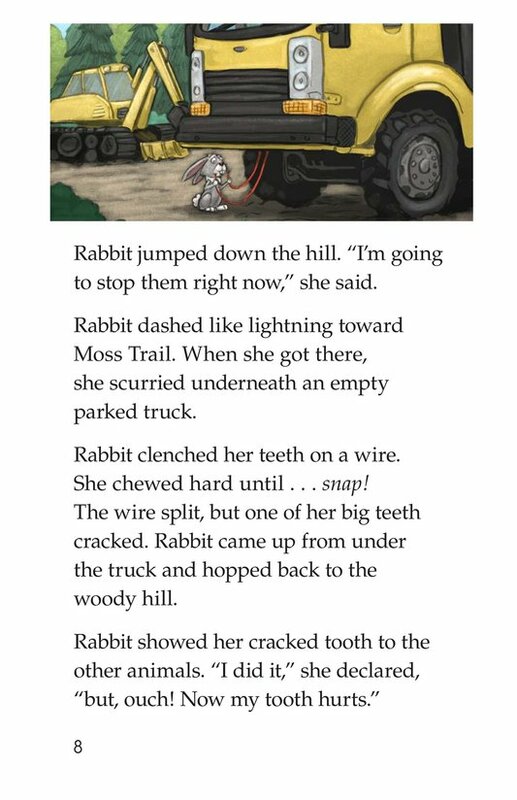 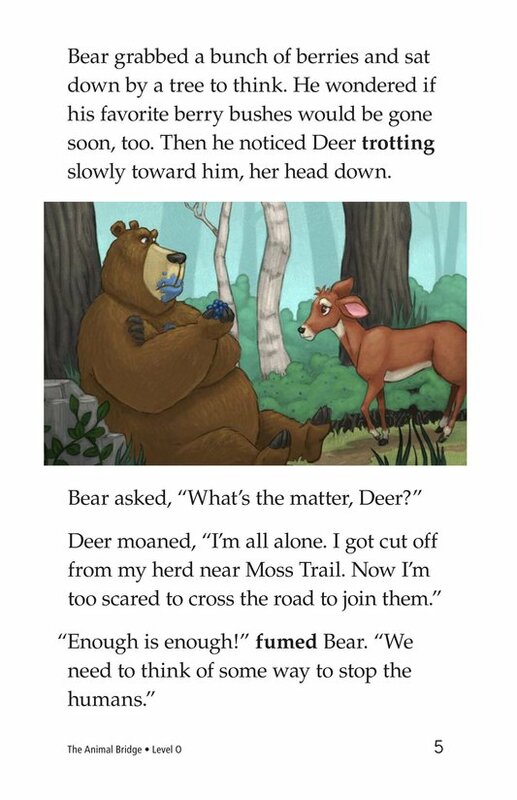 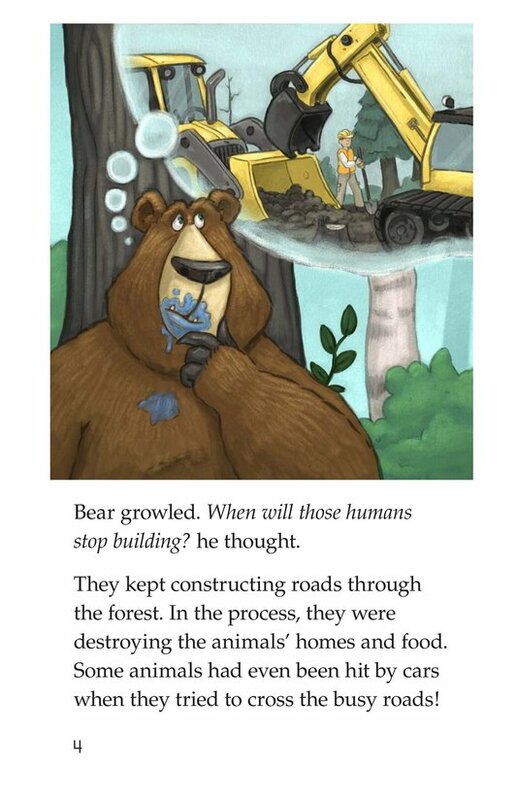 The book can also be used to teach students how to retell and identify characters, setting, and plot. 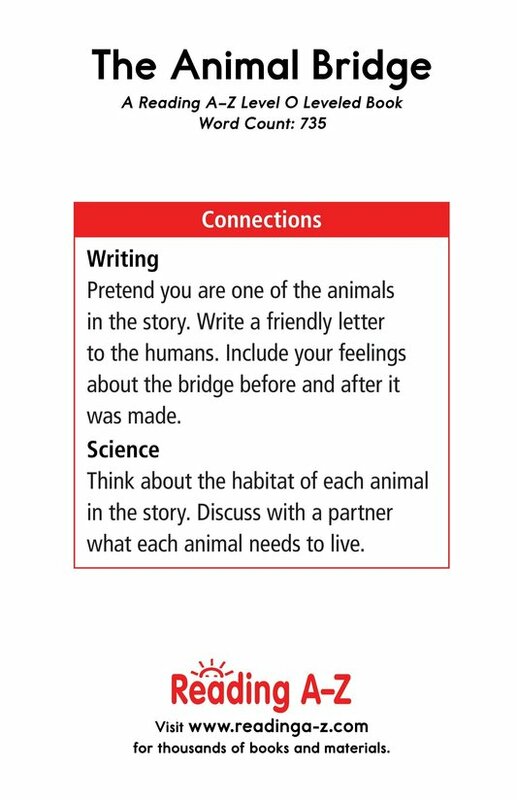 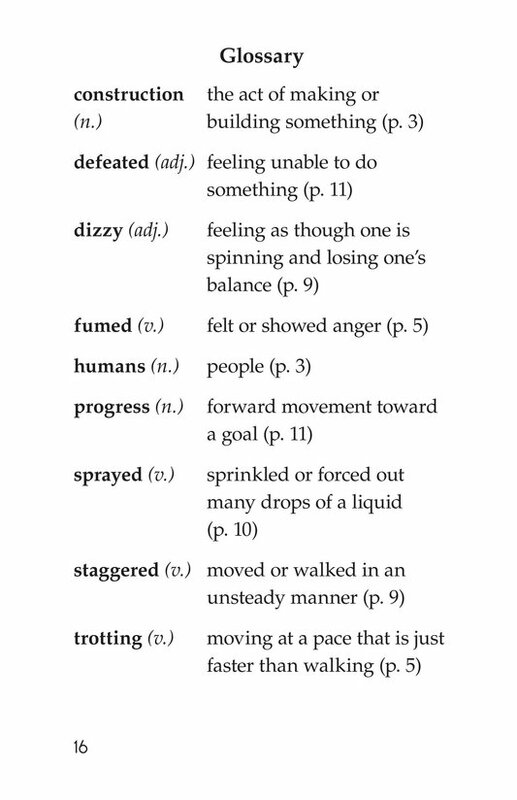 The book and lesson are also available for levels I and L.